259 lbs. Capacity, Weighs 2 lbs. The Alex Orthopedic Quad Seat Cane is a lightweight, portable, durable cane that doubles as both a seat and a cane at the same time. 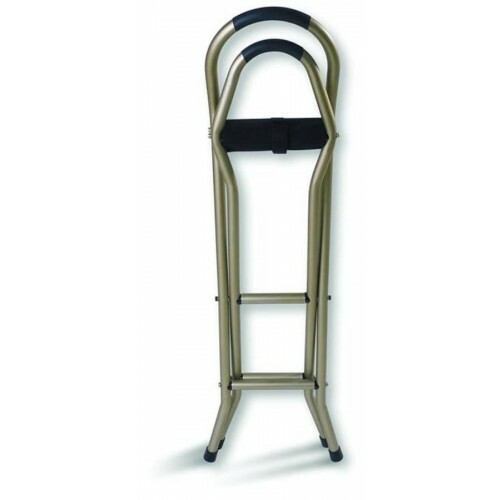 At a folded height of 34 inches, the seat cane can easily be handled by anyone and will assist you in getting from place to place throughout the day. Made of aluminum, the seat cane weighs only two pounds but is able to hold up to 250 pounds, making it a very strong cane for its type. When it's folded out, a six-inch by 14.5-inch area gives you plenty of seating space to rest your legs. The seat cane's open position works properly when the user straddles into the seating area, rather than attempting to sit on it like a normal seat. 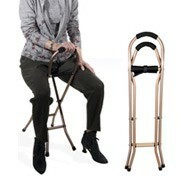 The taller handle can be used for leverage when seated and as an anchor when you need to stand. This item is made very well. But the problems are 2 things. but there was a sticker on it that showed you had to straddle it. I gave this item only 2 stars because there was confusion on how to sit on it. appeared to be small also. we were going to return it until we saw a 40% restocking fee. So with that and the shipping charge to return it we would be out a lot of money and have nothing. do some checking before buying this item. I give this item 2 stars only because it is made very well. But there were confusion on how to sit on it. nothing in the listing. The card enclosed made you believe that you could sit it like a chair but then there was a label that said no and that you had to sit on it sideways. we would not have anything and we would be paying out a lot for nothing. we are sad that this didn't work out for us. Bought this for my mom who has a lower lumbar spinal fusion and bad knees... she fought me at first saying she did not need it... we are taking a trip to her hometown for a walk down memory lane. Took a shopping trip to get ready for our long flight overseas and people kept coming up to her asking where she got the cane seat!! It was the best investment. Better than one of those horribly cheap camping chairs. 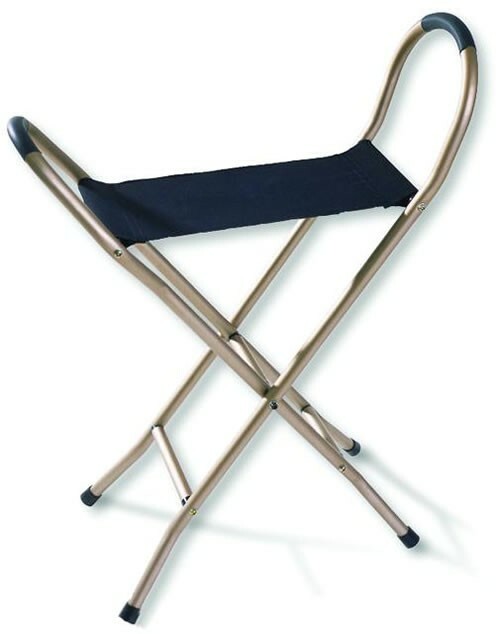 Extremely stable and durable seat. Great Quality!